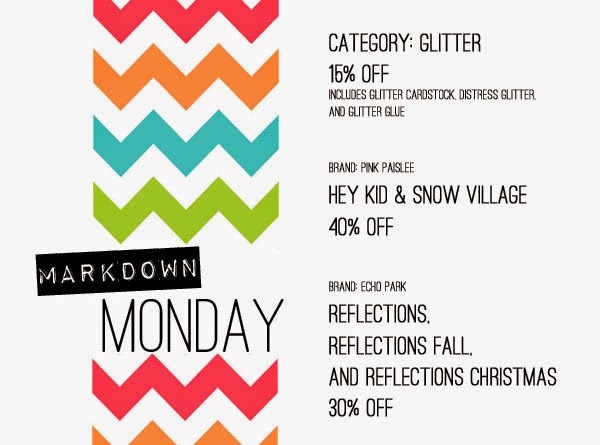 It's time for Markdown Monday at scrapbookgeneration.com and at SG's Springfield store! • Local shopping at SG's Springfield store is 10 am - 6 pm, Monday, April 21. Woo hoo- another Markdown Monday day. LOVE these sales and LOVE the new BANK IT program. THANK YOU for offering both to us. Now a chance to look forwards to Mondays. Awesome!